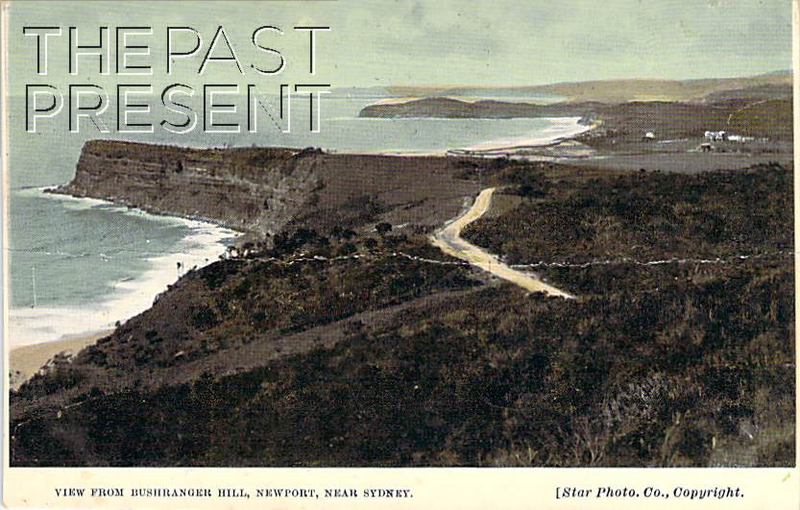 This week, the Past Present decided it was time to share this amazing image of a hill in Newport which is known as Bushrangers Hill. Such an evocative name surely has a fascinating story to match and research reveals this is indeed the case. Bushrangers Hill may suggest the hill was named because of bushrangers, but this isn’t the whole story. The hill is actually most closely associated with an Aboriginal police tracker known as Bowen. Bowen was the son of the famous Aboriginal Bungaree. He was a very successful police tracker and also customs officer. In fact so successful was Bowen that the Sydney Herald even reported about him, and the information he had provided which led to the capture of thee dangerous bushrangers. Bowen left his job as a police tracker for a time to sail to the Californian gold fields, but he returned and resumed work with the police, again helping to apprehend bushrangers, including two convicts who had escaped and were bushranging on the Northern Beaches. Of course, being a tracker, Bowen made many enemies. According to many, in 1853 he was encamped at what is now Bushranger Hill and sitting by the warmth and light of his fire. The hill was used by several bushrangers and four happened upon his camp where one, known as Casey, murdered Bowen. John Farrell, who was a farmer at Newport and friend of Bowen discovered his body and had it taken to St Lawrence Presbyterian Church for burial. This is perhaps the reason for the name of the hill. Others however say that Bowen shot Casey and that Farrell did not find Bowen’s body or indeed know who was responsible for his death. According to this story, Bowen died closer to Sydney, though there is no record of how he died. This entry was posted in New South Wales, Sydney Suburbs and tagged 1900s, aboriginal, beaches, history.